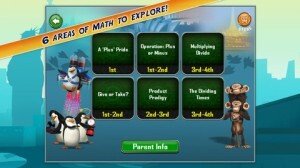 Madagascar Math Ops iPhone Game Review: Funducational! Madagascar Math Ops is an iPhone game developed byKnowledge Adventure. If your kids hate math, but love cartoons, this helpful game can get them excited about learning. 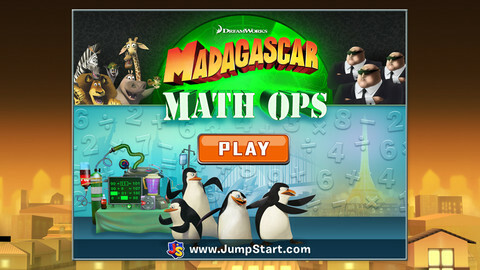 Madagascar Math Ops features a ton of familiar characters from the Madagascar series of films, including favorites like Alex, Marty, Melman, Gloria, Skipper, Kowalski, Private, and Rico! 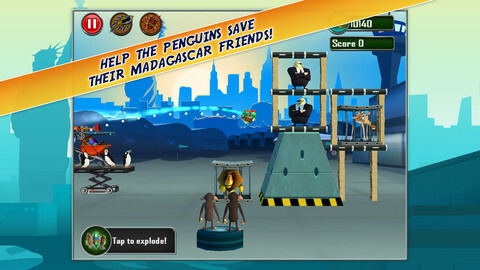 When a bunch of the zoo animals get kidnapped, it’s up to the penguins to save their kidnapped friends. The penguins have developed a funny little device that turns solved math problems into soda, which powers a soda-powered jetpack. After solving equations, kids can use the jetpack in an Angry Birds-style game. You can play as a guest, or parents can choose to register a profile for their kid. There are kid-facing and adult-facing directions, which help the game seem fun for the kids while being transparent for the adults. The controls are very simple, and it will be easy for kids to find their way around, particularly if they already play a lot of mobile games. 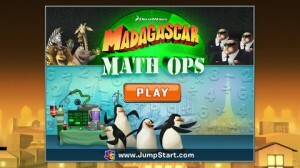 In terms of age appropriateness, Madagascar Math Ops is definitely charming by nature of its famous film characters. This game features thousands of different math problems, each of which is suitable for students between 1st grade to 4th grade. 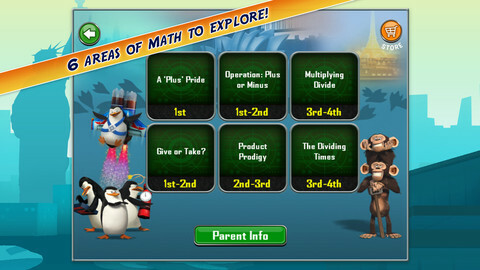 The math problems in Madagascar Math Ops were based on standards developed by educational experts in the math field. Children will be able to practice skills like addition, subtraction, multiplication and division, with 3 difficulty modes to keep things challenging. This game is fun, and will grow with a child as their abilities improve. If you like this app, you might want to check out another educational Madagascar app for kids, Madagascar: My ABCs. 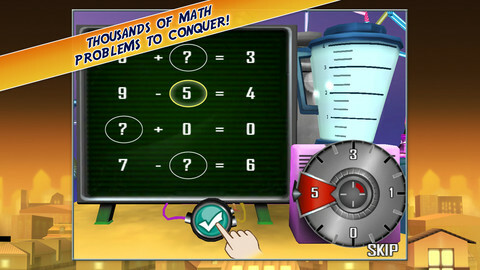 Madagascar Math Opsis compatible with iPhone 3GS, iPhone 4, iPhone 4S, iPhone 5, iPod touch (3rd generation), iPod touch (4th generation), iPod touch (5th generation) and iPad. Requires iOS 4.0 or later. This app is optimized for iPhone 5.